Last week, I went to the KOALA awards ceremony at Newington College. KOALA awards are such a blessing because it’s nice for kids to have a chance to vote for their favourite book. It’s always a great chance to catch up with author friends, publishers and editors, as well as meet all the keen readers who were at the event. 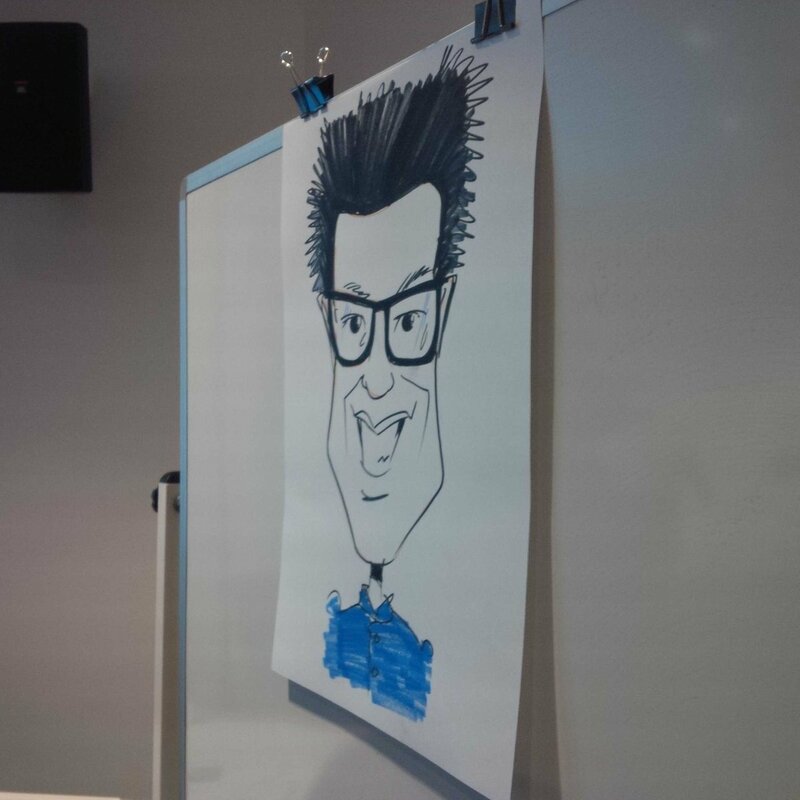 We had the lovely ‘Weirdo’ illustrator Jules Faber draw some cool cartoons including me hehe. He totally got my hair haha. I love the part where authors and illustrators got to introduce themselves. I never prepare for this part. I usually rift off somebody else or try to do something weird. So I got up and was inspired to sing R Kelly’s I believe I can fly. Just because. Another lovely surprise came at the end, when both Thai-riffic! 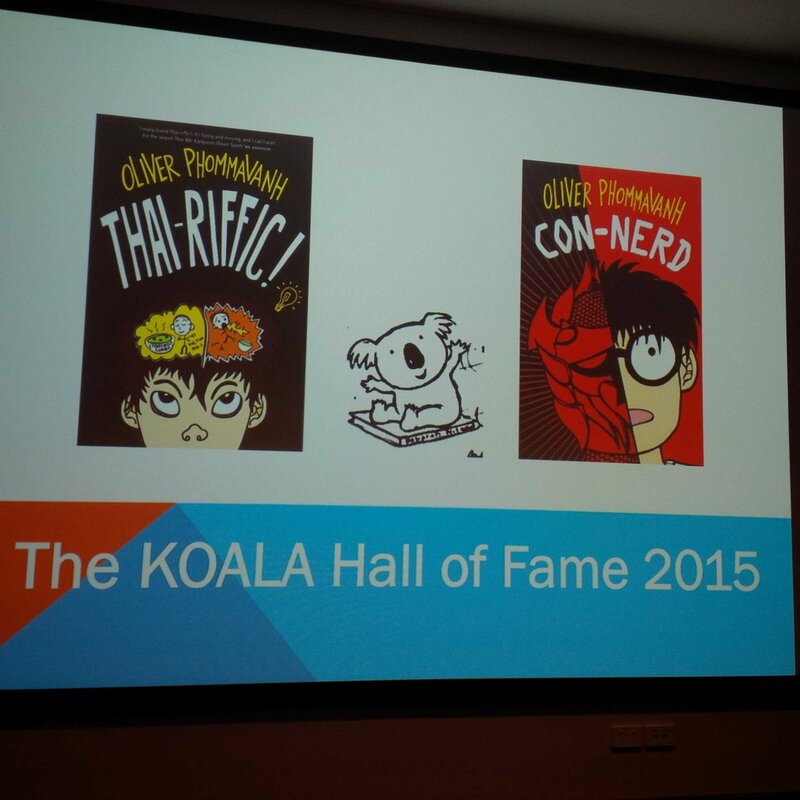 and Con-nerd were inducted into KOALA’s Hall of Fame, after being nominated so many times. I really don’t expect to win any of these awards, no really, because when you’re in the same category as Andy Griffiths and Emily Rodda, you really have to bow down to these legends and be grateful you’re among them. And I’ve always been cool with that. It really is a reminder of how lucky I really am. Kids are coming up to me and saying how inspired they are to read my books (and maybe sing badly too).